Brant sighted at Cape Pogue; just one of the 123 species tallied at the Christmas Bird Count. 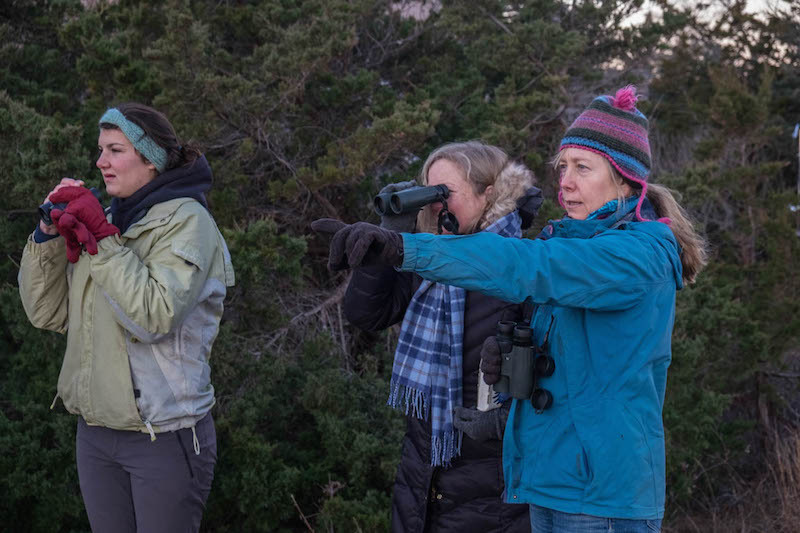 From Aquinnah to Chappaquiddick, 49 committed birders braved chilly temperatures and wind gusts of up to 30 miles an hour Friday for the 57th annual Martha’s Vineyard Christmas Bird Count. The birders were organized in 13 teams, ranging in size from single carloads to convoys of two or three vehicles. The goal was to cover the Island and identify and count as many different bird species as possible between dawn and dusk. Other Islanders called in reports from backyard bird feeders. The annual bird count, sponsored nationally since 1900 by the Audubon conservation agency, replaced a bloodier American holiday tradition. “People used to see how many birds they could shoot,” said ornithologist Rob Bierregaard, a longtime seasonal resident of the Vineyard who works at the Academy of Natural Sciences in Philadelphia. Mr. Bierregaard said the volume of data collected over the last century is an important record of citizen science. “I don’t know how many PhD students have written their theses crunching the data from these counts,” he said. The Vineyard’s preliminary total, tallied Friday evening at the Wakeman Center, was 18,841 individual birds and 123 species, although count coordinator Luanne Johnson said the rusty blackbird and prairie warbler reports still needed confirmation. Last year’s total was 120 species. Highlights of this year’s Vineyard count included a barn owl in Chilmark, a Baltimore oriole in West Tisbury, a black guillemot in Aquinnah, a northern shoveler in Edgartown and an eastern phoebe on Chappy. There was also some predator-versus-predator drama on Oyster Pond, where Rob Culbert saw two bald eagles harassing double-crested cormorants from the air. First-time Christmas counter Jody Angevin found more than birds. “We saw an otter in Duarte’s Pond,” she said. Despite bright sunshine, the gusty wind made for tough birding in many spots where winged creatures appeared to be lying low. 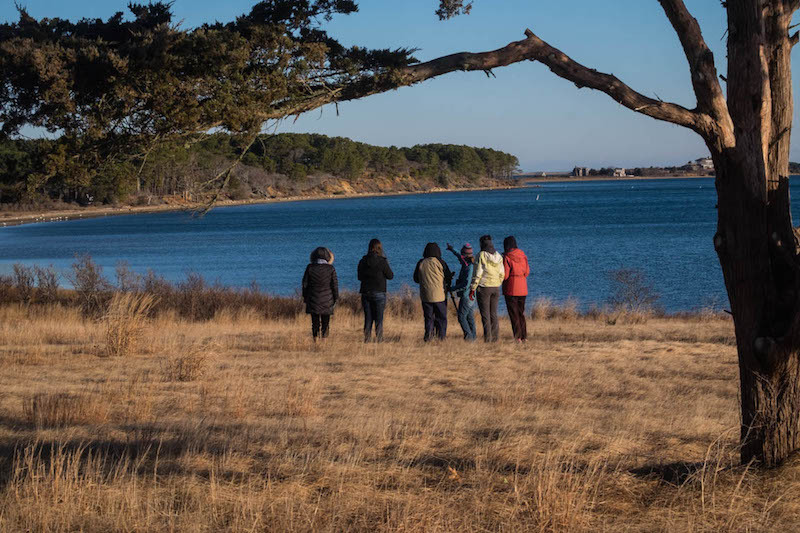 Ms. Johnson led a team of five women across Chappaquiddick but had trouble getting small birds to appear despite using a technique called “pishing” — emitting a soft vocal sound that attracts a bird’s attention. Recordings of screech-owl calls, played through her smartphone in an effort to startle prey birds, were also greeted by nothing but wind. There were also no purple sandpiper sightings by any of the teams, which Island naturalist Gus Ben David found noteworthy. “No purple sandpipers? That’s got to be a first,” Mr. Ben David said at the Wakeman Center tally, which followed an informal supper and social hour with about 30 of the day’s birders. 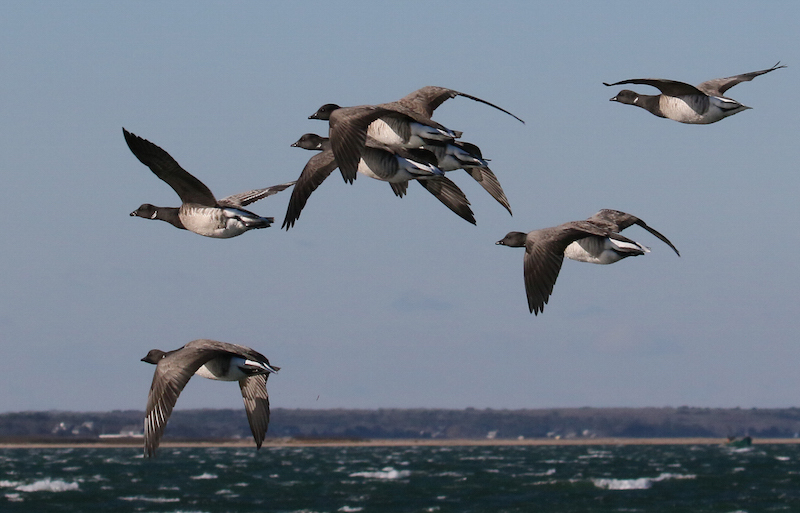 The most numerous species counted on the Vineyard was the Canada goose, with 2,119 tallied. European starlings followed with 1,708, herring gulls with 1,254, and black-capped chickadees at 1,084. No other species topped the 900 mark. While many of those who took part in this year’s count are accomplished birders and wildlife photographers, the Christmas Bird Count also offered a chance for the less-experienced to learn from the veterans. Kayla Smith was on her first Christmas count, as part of Ms. Johnson’s team. She spotted an eastern phoebe as well as a red-breasted nuthatch after hearing its call. “Red-breasteds aren’t always easy to come by,” Ms. Johnson said approvingly. Lanny McDowell, who patrolled the Chappaquiddick beaches during Friday’s census, said his vehicle full of veteran birders was accompanied by two more carloads of younger people. Official numbers will be released in the coming weeks. Stay tuned in the Bird News column for more on this year’s Christmas Bird Count and how it compared to previous years. 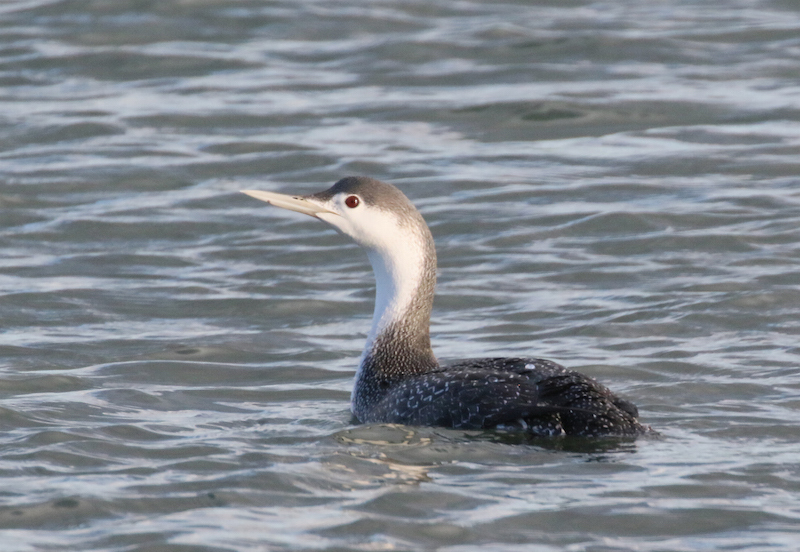 More pictures from the Christmas Bird Count. I believe I may have seen a Pacific Wren on my deck last weekend. Tiny, roundish and very dark brown with a tiny upturned tail. It was choking down a large worm - hopping around and then disappearing under the deck to most probably find more snacks. Compared it to pics of a Winter Wren which is lighter with a longer tail. Thanks!